Kay channelled this message from The Circle of The Light of The Love Energy in December 2010. Kay channelled this message from The Circle of The Light of The Love Energy this morning – 31 August, 2012. 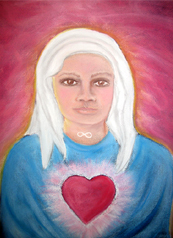 Kay channelled this message from The Circle of The Light of The Love Energy during our meditation group in June 2011. Kay channelled this message from The Circle of The Light of The Love Energy in May 2011. Compassion is to be seen. All things that we see happening on your Earth we see with compassionate eyes. It would be good if all on Earth could show their compassion for one another and then there would be understanding – and not dissension on Earth. Much is happening on Earth that is wholesome, but much is happening that is heart aching to us to see. Build bridges with one another, connect with one another on a link of understanding and tolerance, and much will be achieved. The love energy that has been spoken about in many of the previous messages still needs to be raised on Earth and many incidences occurring at this time will raise the energy of love. But we don’t want to keep seeing these things happen to Earth in order to allow the energy of love to flow. Throughout the development of the Earth, many lessons have been given allowing growth. So do work to allow the love energy to flow so that the lessons do not need to be so severe. Learn from the past. Civilisations were destroyed because of misuse – and rejuvenation of the new happened. Work with one another. It is the answer – understanding, harmony, love. Let the action of your being be an expression of who you are. Let every deed that you undertake be an expression of yourself – the love that you are – and let the action be expressed in love, understanding, harmony with all. Kay channelled this message from The Circle of The Light of The Love Energy while we were meditating with our friend Yvonne recently. Yvonne is the Reiki Master Teacher who taught Kay and I to be Reiki Master Teachers also. What Light has been unwrapped by each of you ­ – and as it expands it brings to you all that you need. A gift of Light unwrapped can never be closed. Kay channelled this message from The Circle of The Light of The Love Energy during our meditation group in May 2011.